'The Great Gatsby' actor Leonardo DiCaprio grabs a drink while out with friends in Los Angeles, California on April 23, 2013. Leonardo DiCaprio took a stroll wearing comfy-looking gray canvas shoes. 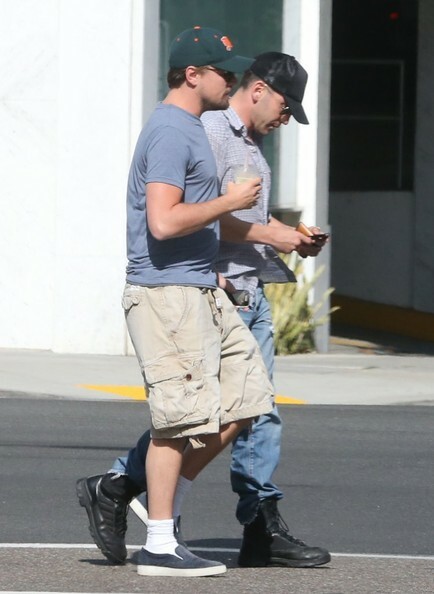 Leonardo DiCaprio kept it cool and comfy with a pair of beige cargo shorts while strolling with friends.